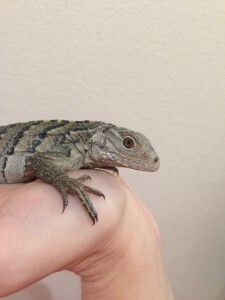 Rock iguana baby Nobu hatched at 44g and is a healthy active beautiful baby. 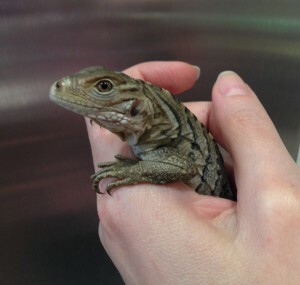 This rock iguana is especially drawn to human hands and seeks interactions with other babies as well as humans. 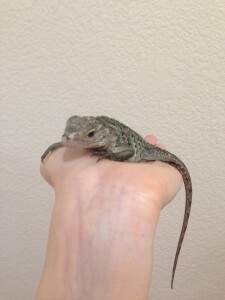 Nobu is very curious and always explores the cage and loves to watch activity in the house. 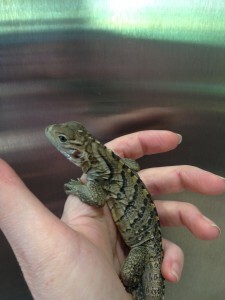 This baby has vey special sweet personality and will make a great pet.